Savory Vegan Heirloom Tomato & Corn Pie Vegans Eat What? 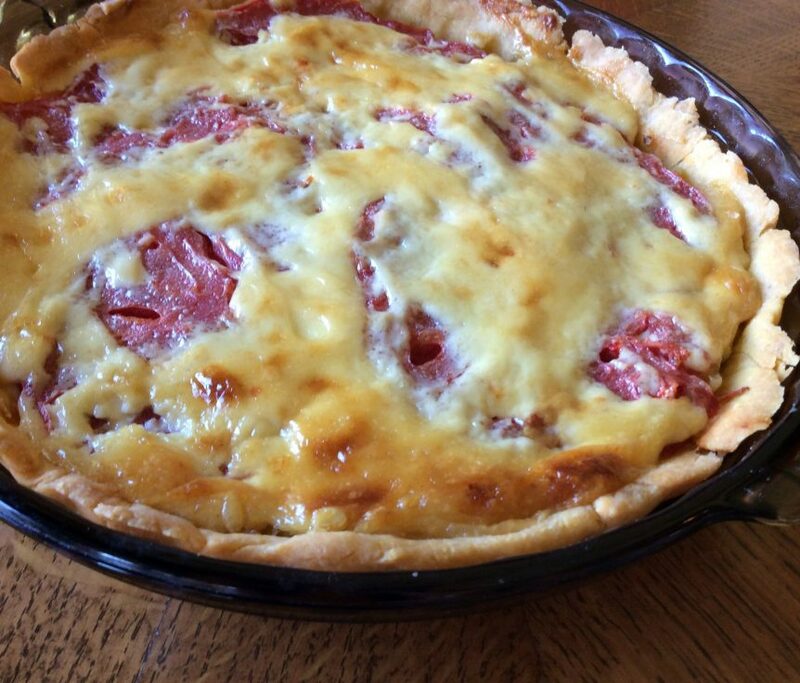 A sensational, savory summer pie that can be eaten at room temperature, cold or warm. Transfer the dough to a floured surface and roll out to fit pie plate, adding additional flour as needed. Transfer the dough to the pie plate and gently press down. Bake in preheated 350 degree oven for 25 to 30 minutes. Check frequently after 25 minutes to ensure the pie does not burn. This recipe is from Chef Deb Rogers. The pie is perfect for lunch and brunch or enjoy it, as we did for dinner, with a salad and grilled portabella mushroom! YUM! It can be served at room temperature, cold or warm. For the best flavor please use only ripe heirloom tomatoes and fresh corn from the cob. Thanks for sharing Chef Deb! In this sentence there is a spelling error. “¾ cup yellow cornmeal (do not use polenta as it is too course , “course” should be “coarse”!! !